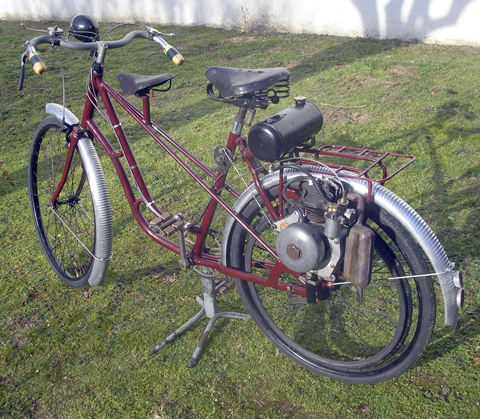 During that brief half a decade when the British had to buy cyclemotor engines to attach to their bicycles, the various contraptions on offer were generally quite basic. 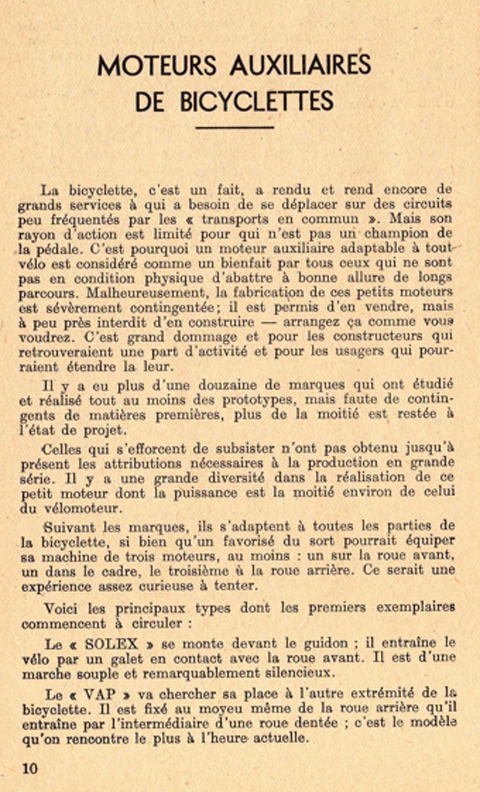 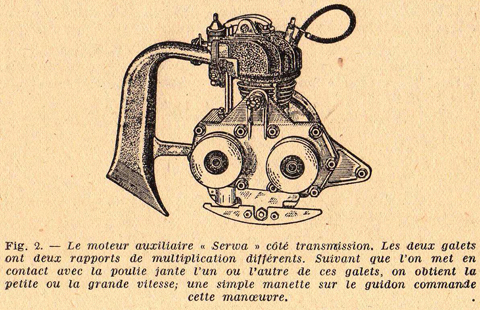 But the French, pioneers of the moteur auxiliaire, were forever striving for a faster, more robust and efficient machine. 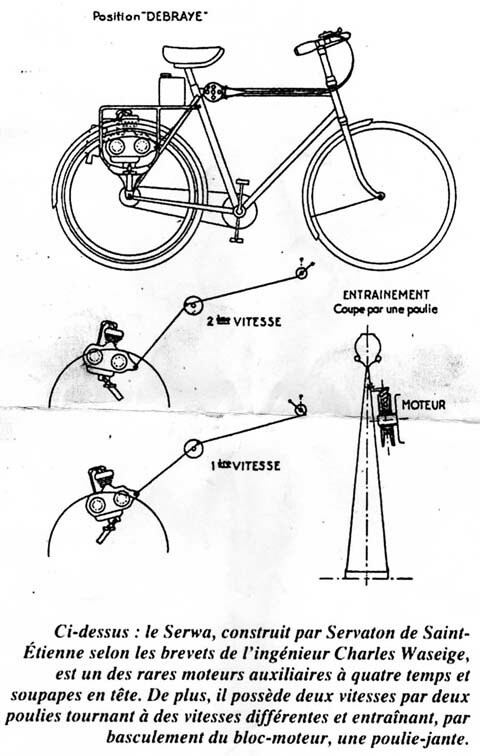 While British auxiliairies were sold on price, French equivalents were marketed according to power and performance. 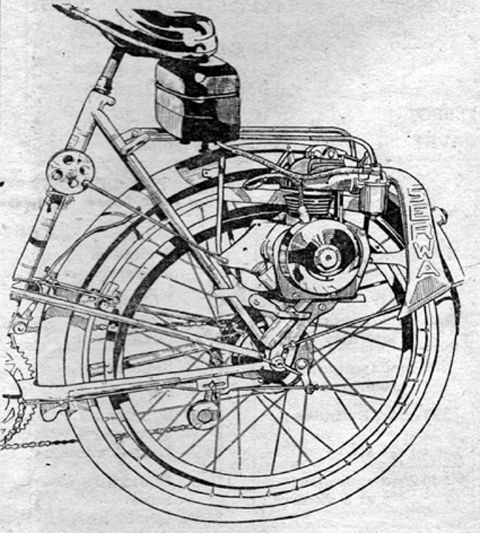 Purchasers could buy a motorcycle for the same money, but preferred an auxiliary. 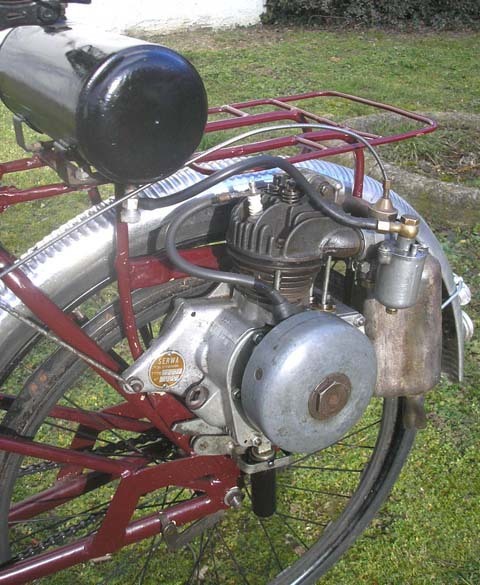 Ducati set the bar with their 4-Stroke Cuccioilo (also made under license in France). 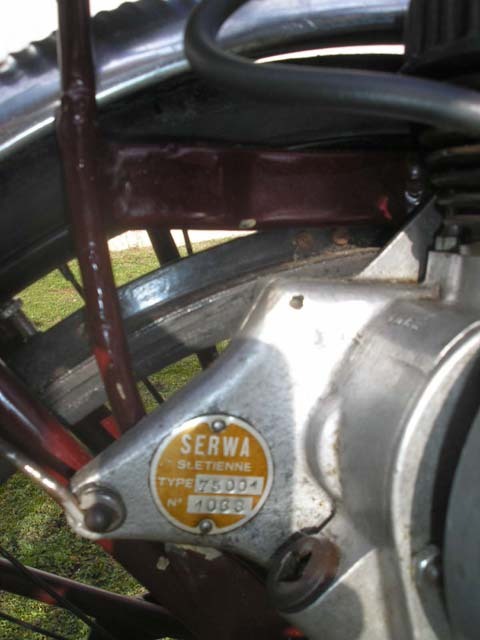 Hence the 4-Stoke Serwa. 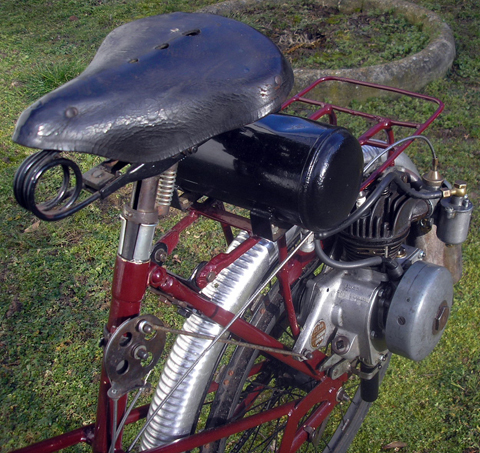 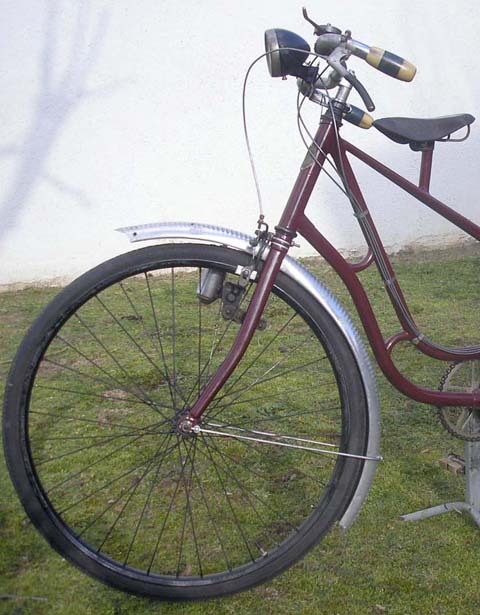 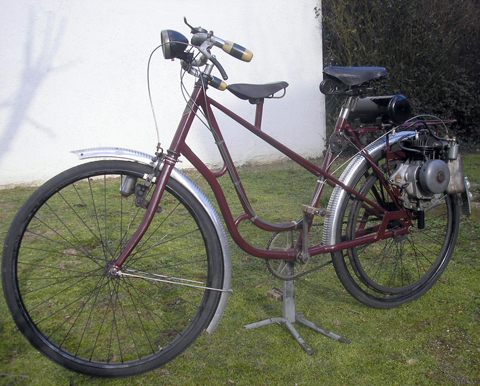 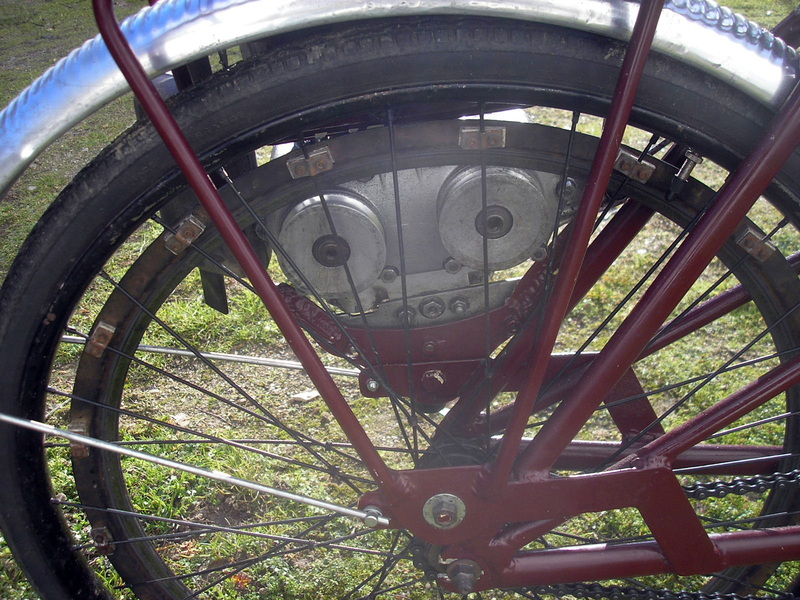 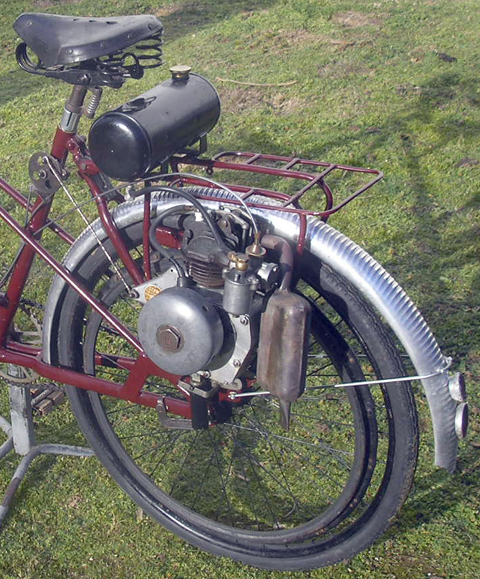 The first Serwa prototype appeared in 1945, at the same time as the Velosolex. 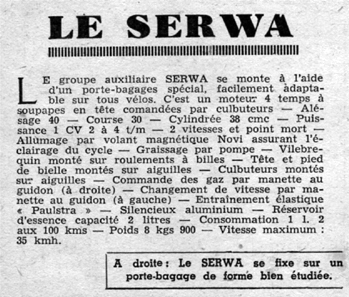 By 1949, Serwa announced their new model, the Type 75002. 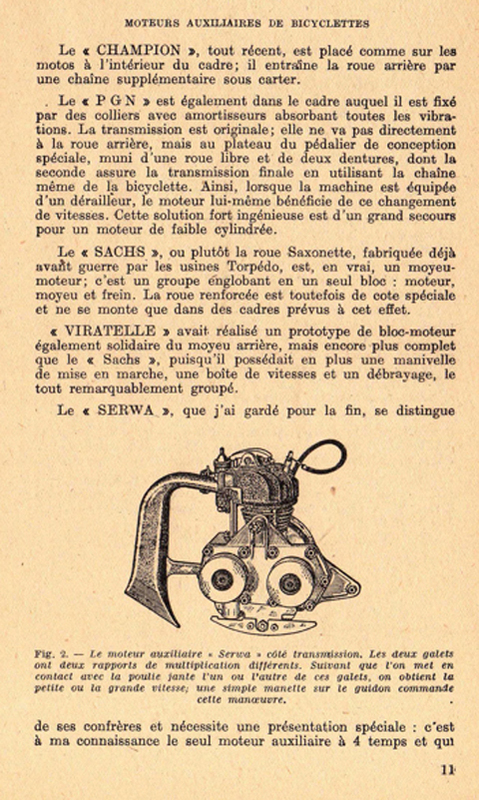 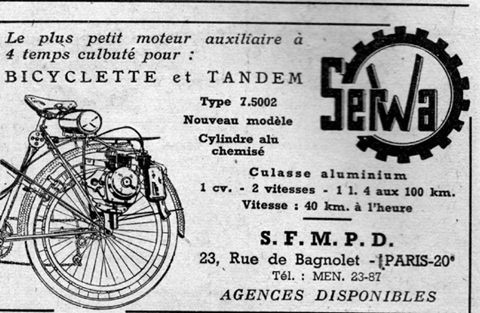 I’ve seen various configurations of bicycle, petrol tank and exhaust on different Serwas, but the Type 75002 illustrated in the advert below, from the French Motorcycles magazine of October 1949, seems identical to this Serwa. 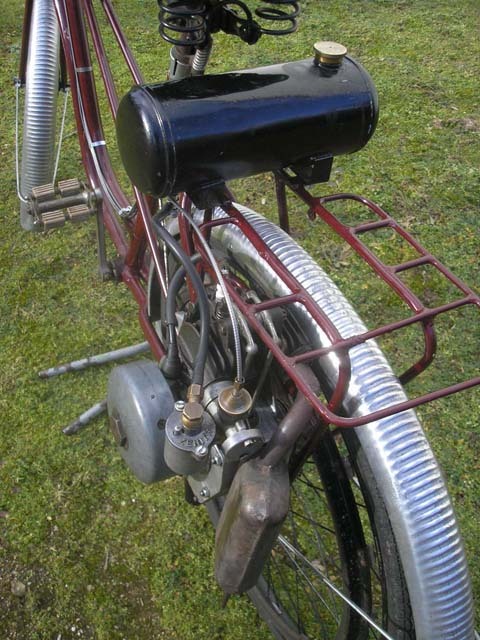 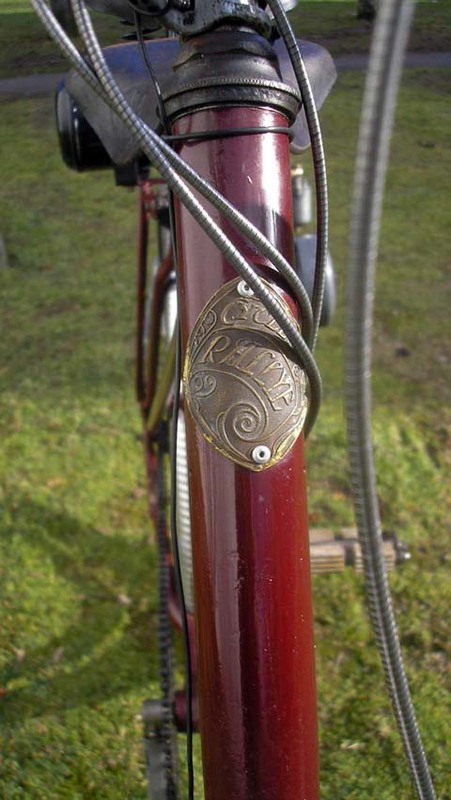 In particular, it shows the same petrol tank, and the bicycle framework and unusual mudguards look the same. 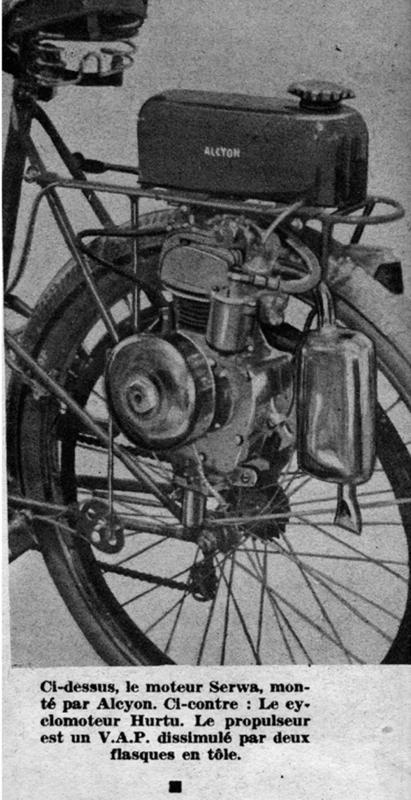 This is engine number 1068.